Ruscello is located on the 3rd Floor. Despite the loud room, Ruscello is still one of my favorite places for lunch with girlfriends (although I noticed a lot of men dining there too). Our server was excellent and the food was on par. This restaurant continues to maintain its high standard of service and cuisine. Usual good service and great food. OMG! So amazing..... We had the chicken club and the blackened salmon caesar. So delicious and the maple glazed baxon in the chicken club was divine! Risa was our server and she was so friendly and fast! The way that she explained the food was impressive! Our lunch was spectacular! I had the seared ahi salad and my daughter had the chicken club, with thick bacon and avocado slices. The fries with her sandwich were nice and crunchy. 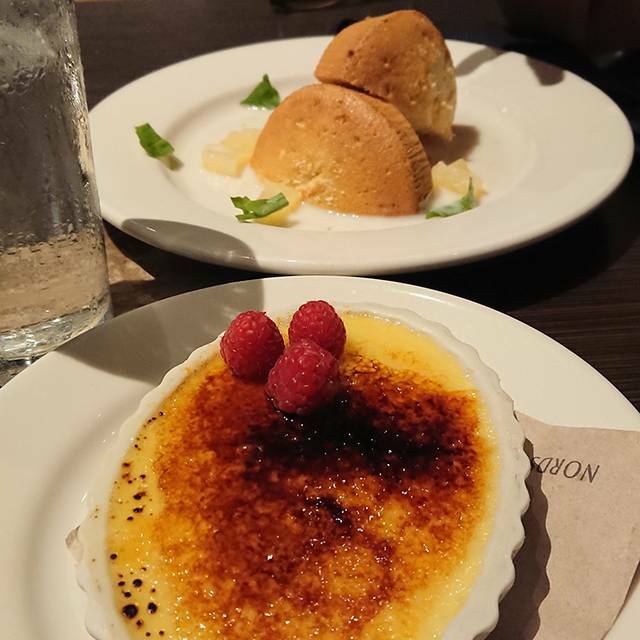 We had the Napolean special for dessert. The server, Trent, was helpful with suggestions and added to the positive experience. We all could not believe how great our experience was. The food was amazing. The prices were reasonable. The cocktails were delicious. Our server Patrick was awesome. We will come back soon just to see him. The manager was very gracious and apologetic for something that happened with our drink. We appreciated that. Overall, can't wait to return! Server was great. Very accommodating for my 3 yo toddler. Super nice. We love coming here! 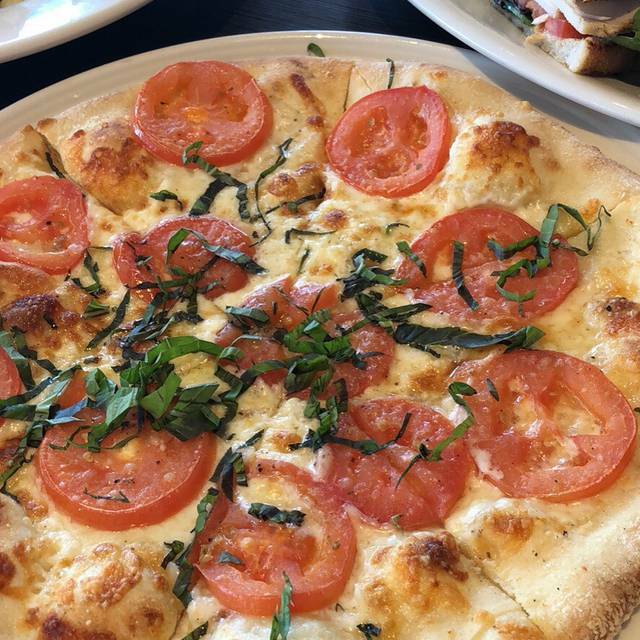 It is our go to spot when it comes to dinner. The food and the service is always awesome. The plantation ice tea is my favorite. Kimi our waitress was awesome. She knew the menu and I ask her about two thing on the menu and she was so right. Our poke, ginger Pablo salad and our margarita pizza was great. Thank you Kimi for an at lunch. 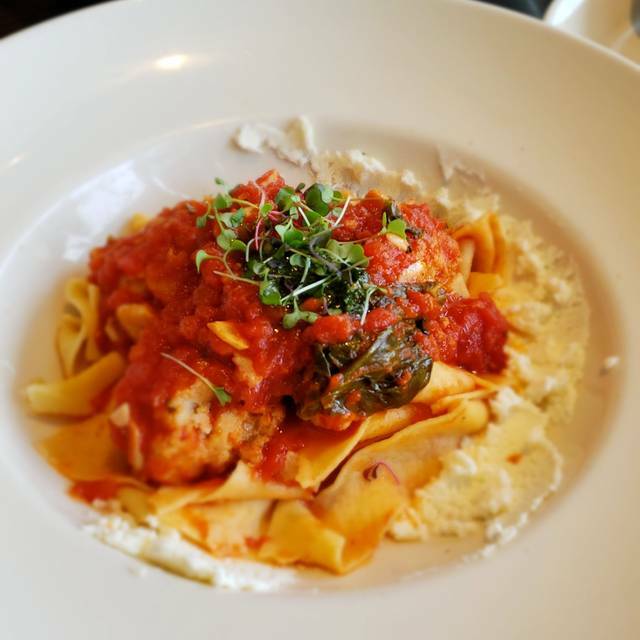 We have enjoyed several meals at Ruscello and we have never been disappointed. 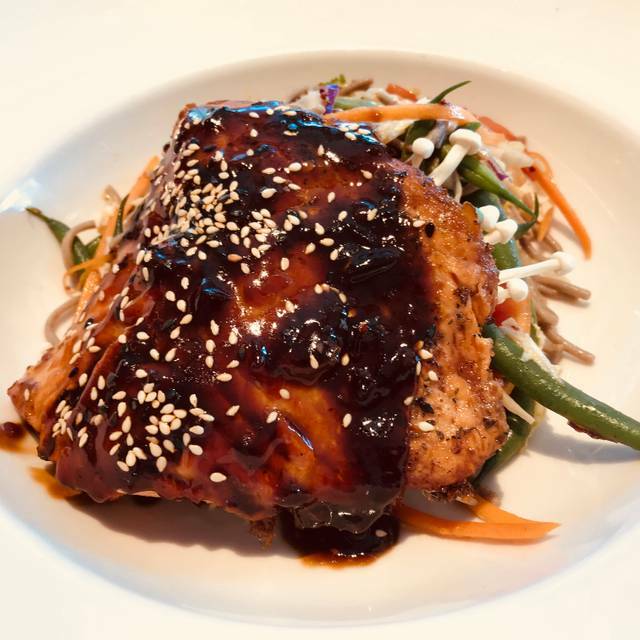 The food is vibrant and tasty but the service is even better. We had Ana and she was excellent. We'll be back. New salmon dish was dry and not as moist as prior salmon dish. It is a must to do outside seating here. 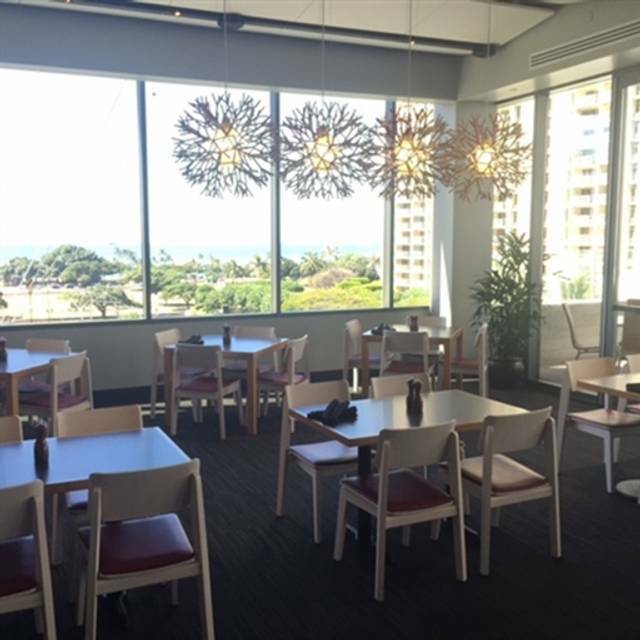 From any seat you will have a virtually unobstructed view of ala moana beach. Since the entire lanai is shaded, even on a hot day it will feel cool. 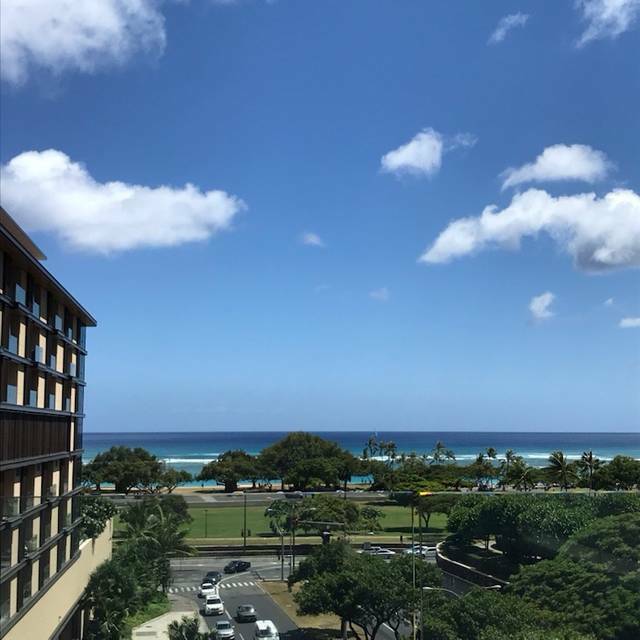 Due to its prime location, the breeze from the ocean also directly flows towards the lanai but the lovely glass walls break it up just enough so it is never too windy. The staff is also very professional and courteous. Food is simple yet well executed. 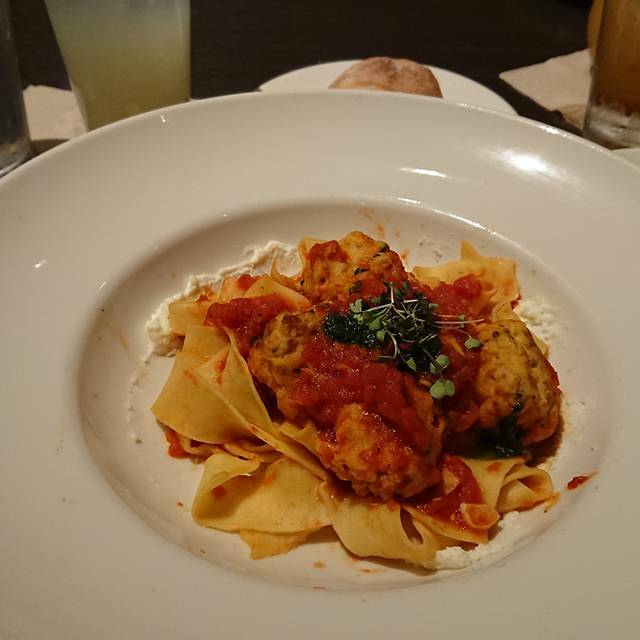 The food server was wondering, her name is Kelsey and I'd like to commend her friendliness, professionalism, and great customer service, how she enjoys serving people to ensure their comfort and experience especially for my friend who enjoyed his first time at Ruscello Nordstrom. Always have great food and service. We always enjoy our experience there! While we did enjoy the specials. The restaurant seems to be cutting corners. 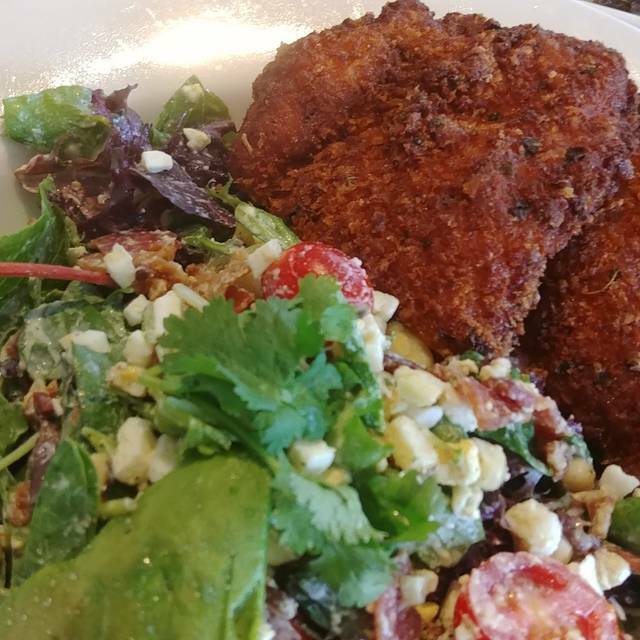 The chicken lime salad and panko chicken salad now comes with big chunks of chicken instead of the nicely cut up pieces they used to have. I prefer the cut up pieces as it makes sharing and eating easier. I hope they reconsider and go back. Food and service were good, but the acoustics were not. For us seniors, it was hard to hear the conversation at times. A great lunch experience. I really appreciate that you carry gluten free pasta. And the view is fantastic. I was very disappointed in my sandwich, though the brussel sprouts were delicious. For the price that is charged for the turkey sandwich, one would expect better, so if asked by a friend whether we should dine there, I would share my experience and then recommend another restaurant. The server was wonderful, but it did not make up for the sandwich. Light lunch today. Miso salad 😋 and Turkey Sandwich. Excellent service. Friendly and efficient team. Consistently high quality food. Great spot for lunch and quick/casual dinner. Waiter was amazing. Get the table bread (complimentary and delicious). One of favorite lunch venues. The food is reasonably priced and delicious. The wait staff is attentive and friendly. The waitress was slow to serve and follow-up. The calamari appetizer was fried too much and were very dark. They should have been lightly fried. Great food and very reasonable prices. Ruscello has excellent tasting food. The service is consistently wonderful. I especially love their plantation ice tea. It's the best ice tea on this island. 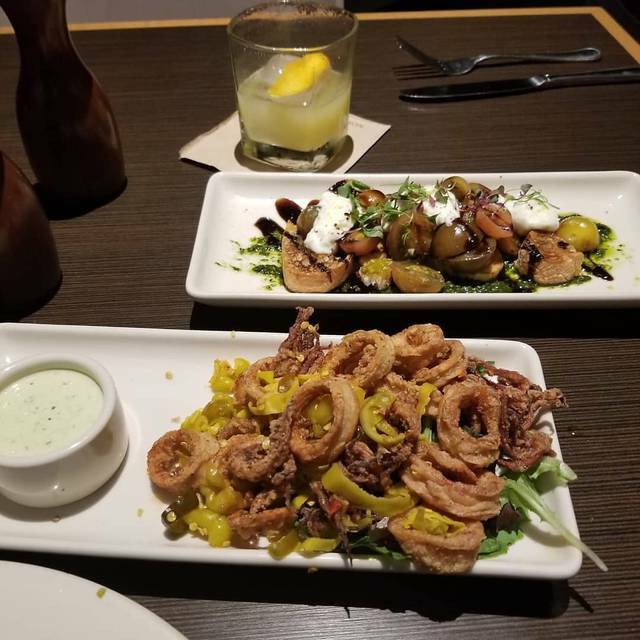 You can always count on outstanding food at Ruscello. Although I do miss Nordstrom Cafe. The food is excellent but the ambiance is not very pretty. It can get quite loud. Spicy shrimp pomodero was average. Pizza was very good. Love it when I have any meeting. Waitstaff is always exceptional no matter who you get and the food is yummy and consistent. Everything was very good. The only shortfall was that refill on the drinks should have been done sooner - somewhere in the middle of the meal rather than at the end. Due to the size of the crowd (busy and full) the restaurant is a lot more louder than I remember it to be. Not suitable for a quiet romantic date. We had a great time. Tommi was our server and she’s great! Told us the specials of the day and got our orders correctly. I had the Caesar salad with salmon and my husband had the carbonara with mushrooms. And the fresh chocolate chip cookie sundae with gelato for dessert. So good! Will be going back.